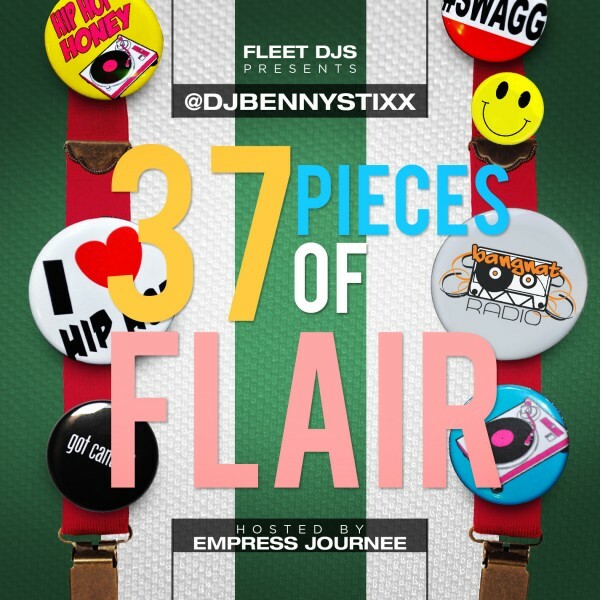 Always going above and beyond, Fleet DJs present DJ Benny Stixx latest mixtape release 37 Pieces of Flair, hosted by S.E.A. Award winner Empress Journee. 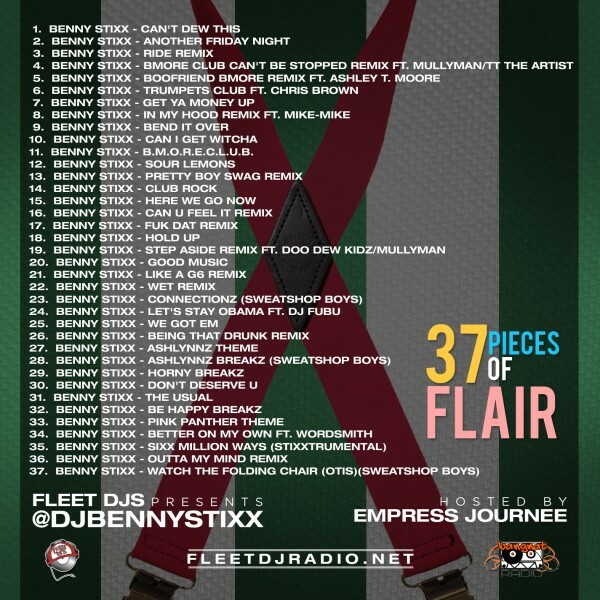 Giving you 37 of the hottest Baltimore Club Music from past present and future with tracks remixed and produced by Baltimore’s own Club Music Artist of the year Benny Stixx. Music featured from the talented artists such as Doo Dew Kidz, Mullyman, Wordsmith, Ashley T. Moore, TT The Artist, and Mike-Mike just to name a few. This mixtape is perfect for pre-gaming getting ready for the club, any house or card party, or just getting you pumped up and ready to go! !